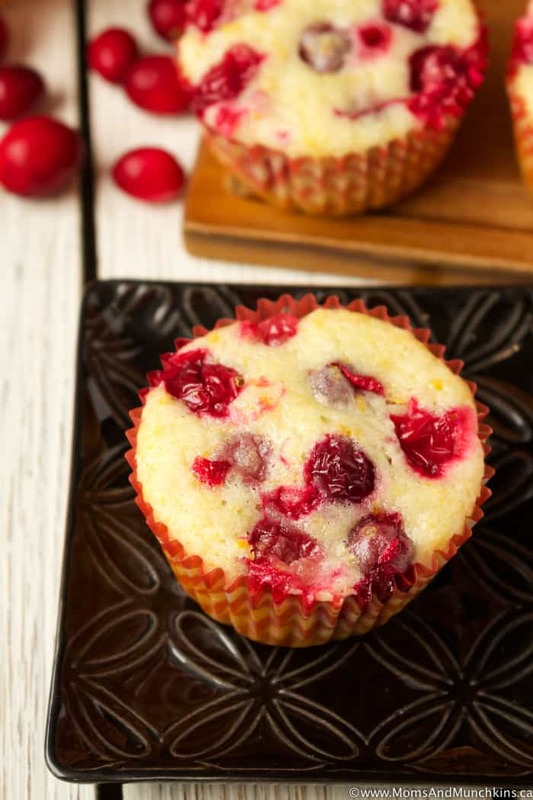 These Cranberry Orange Muffins are the perfect combination of sweet & tart. The recipe includes a sweet orange icing glaze making these muffins great for breakfast or dessert. These muffins are quite easy to make – no mixer required – and they’d be a great holiday brunch treat or afternoon coffee break snack. They’ve been given the thumbs up around here by both the kids and the adults – I consider that a win! Love chocolate? Who doesn’t! You can add some extra sweetness to these muffins by adding in 1 cup of semi-sweet chocolate chips. 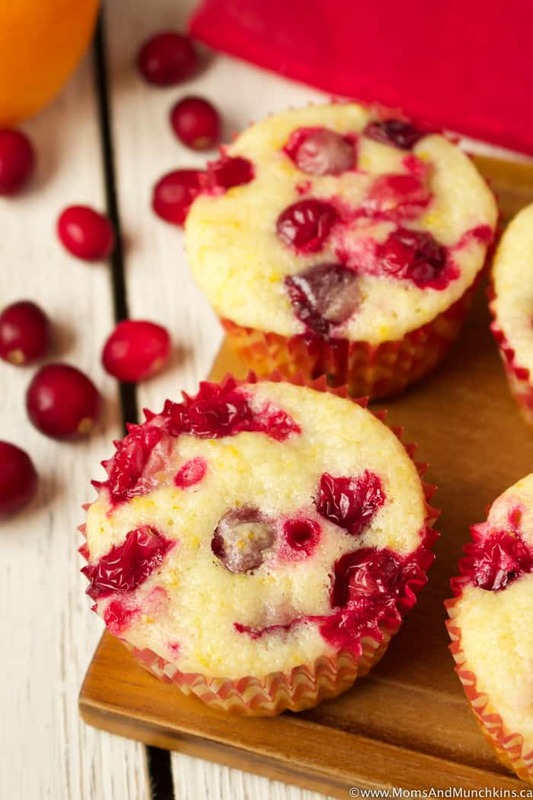 If using fresh (instead of frozen) cranberries, start checking the muffins at 17 minutes to see if they're done. In a large bowl, whisk together flour, salt, baking powder, sugar and orange zest. Set aside. In a medium bowl, whisk together buttermilk, vegetable oil, eggs, orange juice, and vanilla until well combined. Pour wet ingredients into dry ingredients and stir just until well combined - don't over mix. Stir in 1.5 cups of cranberries. Pour batter evenly into 18 greased (or muffin wrapper lined) muffin tins. 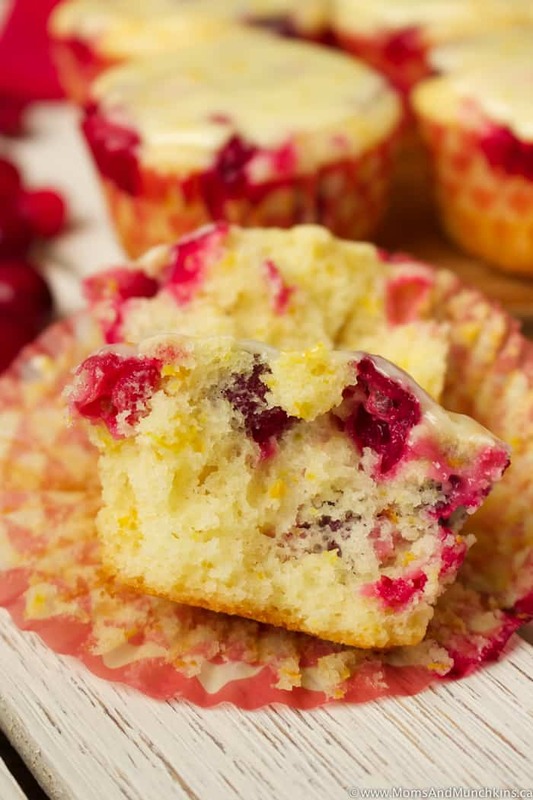 Press the remaining ½ cup of cranberries into the tops of each unbaked muffin. 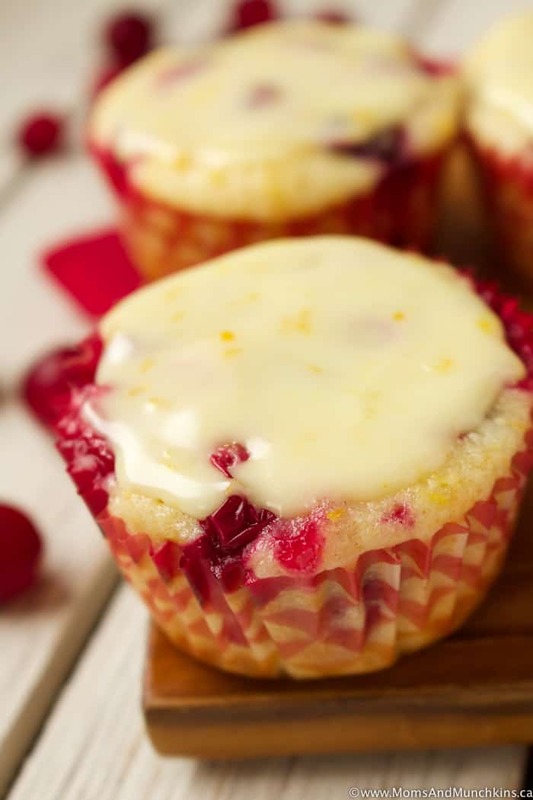 Bake for 22-25 minutes or until toothpick inserted in the middle of a muffin comes out clean. Cool in muffin tin for 10 minutes before removing to cool completely on wire rack. For the glaze, whisk all ingredients together until well mixed. Spread glaze evenly over each muffin. Store muffins in the refrigerator. 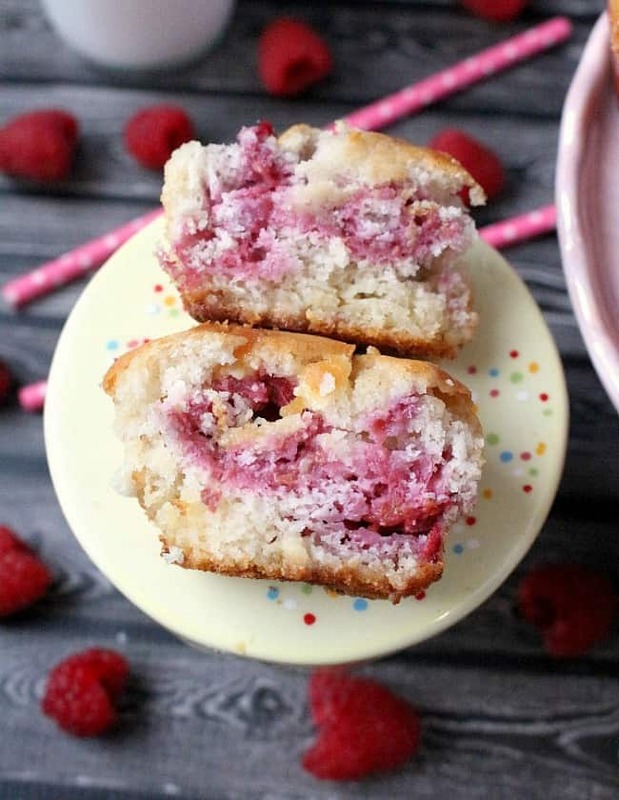 Raspberry White Chocolate Muffins – I’m not a fan of white chocolate but it’s so delicious in this muffin! 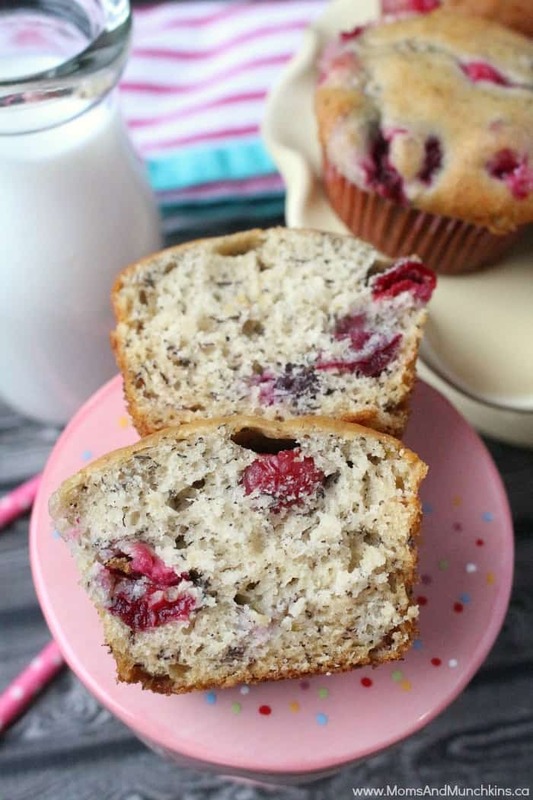 Cranberry Banana Muffins – these are an old family favorite!